The iPhone 5 has already generated a ton of buzz among tech addicts. Millions of people have already pre-ordered their phone. Regardless of how early some people have done it, they won’t be getting their orders before Friday though. But pictures of the iPhone 5 box have already been leaked online by bloggers and reviewers. The iPhone ships with the necessary cables and headphones. 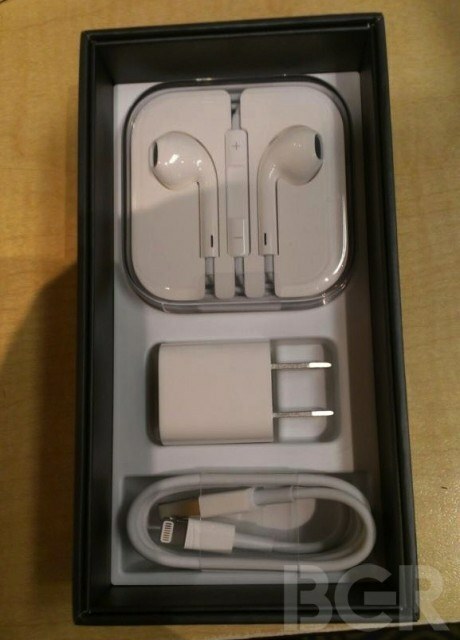 A charger and a travel case for the Earpods are included as well (photo courtesy BGR). You won’t be surprised if you have watched iPhone unboxing photos and videos in the past. The iPhone 5 may hit the stores on Friday. But you will have the chance to download the latest iOS release today. iOS 6 brings a whole host of new features to iPhone and iPad. For starters, Siri won’t be limited to the iPhone 4S anymore. Not only it will run on the latest iPhone but it will work on the iPad 3 and the new iPod Touch. Siri will be capable of doing fun new things this time around. iOS 6 will offer Facebook integration. Those of you who have liked Twitter integration with iOS will most likely like this feature as well. You will now be able to integrate your calendar and contacts, post status updates from various apps, and give apps /songs feedback on Faceboook. Apple is making the process of sharing photos with others easy as well. Passbook and the new panorama feature for iPhone/iPod Touch are quite exciting too. iOS 6 has not dropped at this time. But it should be available very soon. You won’t have to wait till your new iPhone ships to start playing around with it. What iOS 6 feature are you excited about using the most?